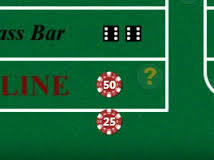 Craps – if you don’t know the odds, the bets, the terminology, which bets go where and which bets stay longer than one roll, it can be very intimidating- even if it always seems that the craps table is having the most fun. What you need is two great guys and craps players to help you through it! 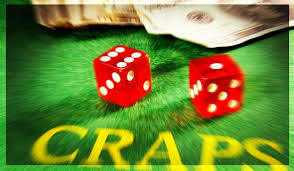 The Craps table can be a very confusing place to the beginner! Thanks to Mark & Dr. Mike, from one my favorite podcasts, “You Can Bet On That,” I now can enjoy craps (low-roller craps, that is). They were great teachers. I strongly suggest their podcast “You Can Bet On That” – a podcast for the Recreational Gambler. See my previous post about them here. Also thanks to a little known e-book that is free as a PDF file by Todd Gades who describes himself as “….not a professional gambler and does not claim to make a living from playing craps….he hopes to simplify the game as well as provide techniques for playing craps smartly so that anyone can play the game and have a good shot at coming out ahead.” His e-book is called “HOW A MATH NERD PLAYS CRAPS” and is a great overview. NOW, A DISCLAIMER: THE PURPOSE OF THIS POST IS TO HELP ALL THOSE WHO WANT TO PLAY CRAPS, BUT ARE INTIMIDATED TO TRY. 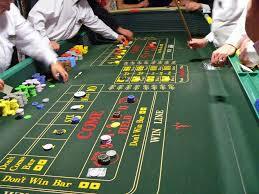 I UNDERSTAND THERE ARE MANY OTHER BETS AND STRATEGIES PLAYED BY HIGHER-LEVEL CRAPS PLAYERS. I WILL NOT BE COMMENTING ON “DON’T PASS,” THE FIELD, “DON’T COME,”BUY BETS, LAY BETS, FIRE BETS, ALL HIGH/ALL LOW BETS, BIG 6/8, OR PROP BETS. I WILL NOT COMMENT ON SYSTEMS SUCH AS MARTINGALE, FIBONACCI, PRESSING STRATEGIES OR OTHER SYSTEMS THAT SOME CRAPS PLAYERS SWEAR IS THE ONLY WAY TO WIN. THIS POST IS TO HELP GET YOUR TOE WET. TO BE A SLIGHTLY KNOWLEDGEABLE BEGINNER WITH A STRATEGY THAT CAN HELP LENGTHEN YOUR PLAY, MAYBE MAKE A LITTLE MONEY AND HAVE FUN FOR A WHILE IN THE PROCESS. THINK OF IT AS PLAYING DOUBLE DOUBLE BONUS VIDEO POKER USING JACKS OR BETTER BASIC STRATEGY. IT’LL GET YOU THERE. I will set it up as a 2-tier strategy. Tier 1 is what to do and what happens on a one-roll game. Tier 2 is what do and what happens if the game continues for more than one roll. Bet $5 on the pass line. You’re actually betting that the shooter will pass, or win, with a 7 or 11. The first roll by the shooter is the “come out” roll. First bet is Pass Line. Result 1A – If a 7 or 11 is rolled, you win at 1:1 (even money). You bet $5, made an additional $5. A New game is started with the same shooter. Repeat Step 1. SEVEN! On the first roll, you win…..But on the roll after that, it’s a seven-out – You Lose! Result 1B – If 2,3, or 12 is rolled, it’s “Craps” – you lose your $5 bet, and we start another game with the next shooter. Again, repeat Step 1. The Point from the shooters first roll is a 4, noted by the white “puck” sitting on the number 4. Result 1C – If a 4,5,6,8,9,or 10 is rolled, things get interesting, or confusing, depending on the level of craps you play. (But we’re still in the low-roller, beginning stage, so we’re hoping it goes from confusing, to interesting!) Whatever is rolled – 4,5,6,8,9,10 – becomes what is called the POINT. The shooter’s goal is now to roll that same number again before he or she rolls a 7. We are now waiting for either the point to be thrown again, or a seven to start a new game by the same shooter. The fun is what happens before all that. True Odds Bet goes behind your Pass line bet. Your next bet actually includes two bets – odds on the point, and a come bet. Tier 2A – The Odds Bet. – This is the only bet in the entire casino which has 0.00% house edge – that’s right, no house edge! So, you make this bet by putting more chips behind your pass line bet in the unmarked area of the felt. Just tell the dealer you want odds on the point, they’ll place it for you. Here’s a neat rule for odds bets – if the point is an odd number, make the odds bet even. The maximum of the odds bet is set by the casino. it can range from 2x your bet up to 10x your bet. If it’s an even number, make it and odd amount. Odd is Even, Even is odd. For example, if you’re betting a nickel ($5) on the point and the point is 5, or 9, bet $6 odds. If it’s 4, 6, 8, or 10, bet another nickel ($5). Another great thing about odds bets is you can also increase or decrease your odds at any time or even take them completely off the table. Tier 2B – Place a bet on the come. Result 2A – If a 7 is rolled, you win that bet, but lose the point & the odds bet. Now go back to Step 1. Time for a new game. You also win the ODDS bet, you know that additional bet behind the POINT?! The odds bet can be 2x, 3x, 10x – basically it’s up to the casino. When the shooter finally throws a seven-out, or a point is thrown, the whole process starts again with a new shooter. Well, at least it’s a little less confusing, and you can play without embarrassment. Just keep in mind that knowing the payoffs, and maybe playing with a “craps-friendly” buddy will enhance the initial experience. If you’re lucky, you just might meet some new friends that will help. Thanks Mark & Dr. Mike.